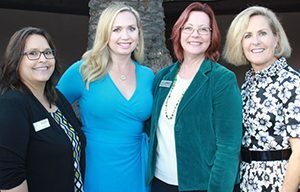 The second Legacy Grant, collected from Legacy Society members who have included the Las Patronas Endowment Fund in their planned giving, went to Social Advocates for Youth (SAY) San Diego. The $3,832 will help the organization purchase 10 laptops to assist in tax preparation services. “A question that comes up often is why a youth organization has a tax assistance program?” said SAY San Diego CEO Nancy Gannon Hornberger. “When we see youth struggling because they do not have school supplies, their shoes don’t fit or they have a dental need that goes unattended, we ask how we can enrich them by empowering their families. For 20 years, we’ve been part of an Earned Income Tax Credit collaborative that provides tax assistance to families that are trying to make ends meet. They are working hard and that $25 or $50 extra a month could mean another bag of groceries or school supplies. ©2019 SAY San Diego. Site by Bixler Creative. 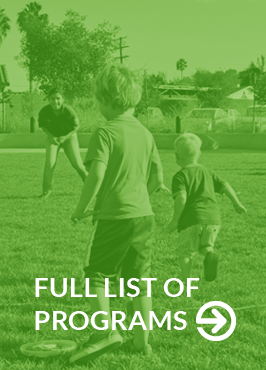 SAY San Diego is a dynamic nonprofit organization that strengthens the whole child, whole family and whole community. SAY was established in 1971 and touches the lives of more than 50,000 individuals annually. SAY San Diego is a 501(c)(3) charitable tax-exempt organization. Tax ID: 23-7107958.